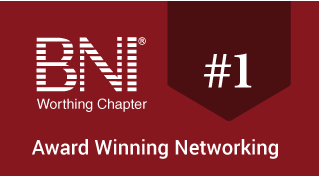 Looking for something fresh, interesting and EFFECTIVE to say while introducing yourself at a BNI or other networking event? This approach makes you memorable! Here’s how to develop a business networking intro or “elevator speech” that is truly effective. An open mind and the ability to change you mindset. If you’d really like to stand out, then say something memorable … something that may have a benefit to the listener and positions you as an expert in your field. Give a 60 solution or a :60 second explanation of something that PROVES your expertise. So step one is: Think about some bit of knowledge that you have, that will be helpful for others to know. Think about questions people ask you about your job? What questions do you find yourself answering over and over to clients or customers? Another way to think about it is, what unsolicited advice do you give to your clients or customers constantly? Once you’ve created your list, boil it down to one tip, trick or piece of information you’d like to share with people. Remember, it should be of benefit to them and position you as an expert as in the previous examples. Practice it! Read it to yourself. Read it in front of a mirror. Read it to family, friends and co-workers. Practice it until it rolls off your tongue as easily as saying your name. Unless your name is Jabzerbichtzer Wjskforvbiadrck.